I have been stairwell training for 3 weeks now, and it’s safe to say that it makes you want to die. By Nirja Ghosh. When I was first told to take up stairwell training, I took the elevator. Basically because walking when you can, well, not, sounded stupid to me. Not to mention that it sounded massively exhausting. I am not a workout person AT ALL and in my ideal world, I could eat rice every day and be extremely fit and surf and sky dive whist not having to work out at all. But since that doesn’t exist, I climb up and down staircases instead. I happen to have terrible creaky knees as well because of a bad kneecap so while all of these sound like they’d work against the workout, it actually has helped me. I have been stairwell training for 3 weeks now, and it’s safe to say that it makes you want to die. But it also makes you so much more fit! See, its cardio (you’ll know when you start) and muscle training for the legs, and 5-6 rounds of a 9 story building is all i need every other day to not fez bad about the rice or even skipping the treadmill. I absolutely detest the treadmill. If the treadmill were a death eater, I’d be an auror, see what i mean? Stairwell training is quick and painful and it’s over pretty soon. I like to talk to my thighs when i am on my 4th to 5th round, partly because they’d crumble otherwise and party because it gets very tough round the last bend! It works very well for people in flats purely because of the convenience of it all, and not to forget, it works everything! Cardio: CHECK. Glutes to calves: CHECK. Endorphins: CHECK. An elevated sense of self-worth: CHECK. Btw, make sure you have socks on because the cushioning for the ankles on the elevation helps, and go go go! And yes, if the knees hurt, stop and stretch! 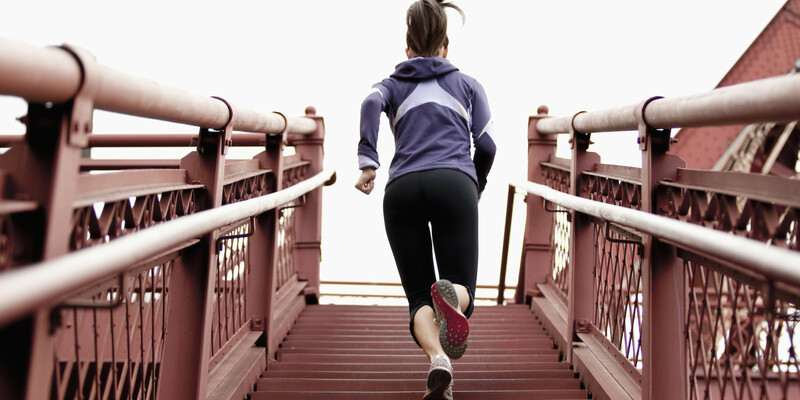 So should you opt for stairwell training? Well yes, but only if are willing to kill yourself in the process at the cost of feeling fabulous later. Besides being the EIC at mystellavalentine.net, Nirja Ghosh is also an LCF Graduate. Minimalist. Surrealist. Love-er. Pray-er. Gene Kelly & Frank Sinatra fangirl. Asia writer @SLANGmagazine.